Washington, DC —The National Organization for Rare Disorders (NORD), the leading, independent advocacy organization committed to helping the 1 in 10 Americans with rare diseases, has appointed Marshall L. Summar, MD, as chairman of the board of directors. Dr. Summar replaces interim chairman Sheldon Schuster, PhD., who will serve as vice chairman. 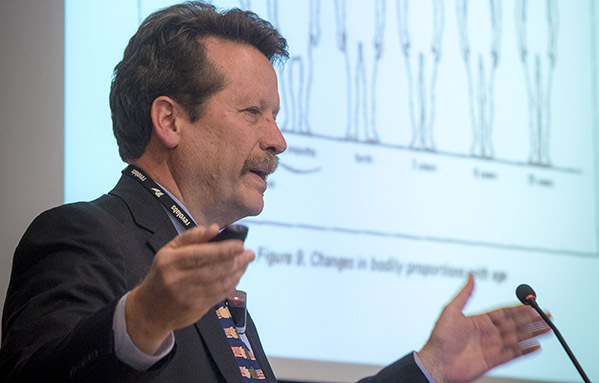 Dr. Summar is chief of the division of Genetics and Metabolism, at Children’s National Health System, the largest clinical division internationally caring for rare diseases, where he also holds the Margaret O’Malley chair in Genetic Medicine. Dr. Summar’s laboratory works on devices and treatments for patients with genetic diseases and adapting knowledge from rare diseases to mainstream medicine. He also works on newborn screening issues, developing policy, testing, and follow-up systems. Since joining its board of directors in 2012, Dr. Summar has also served as chair of NORD’s scientific and medical advisory committee. He is also the chair of the Rare Diseases advisory panel at the Patient-Centered Outcomes Research Institute (PCORI) and serves as president of the board of directors for the Society for Inherited Metabolic Disorders. He is board certified in pediatrics, clinical genetics and biochemical genetics and has been listed in Best Doctor’s in America since 2004. NORD is the primary nonprofit organization representing all Americans with rare diseases. Since 1983, NORD has been committed to the identification, treatment and cure of all rare disease through programs of advocacy, education, research, and patient and family services. There are 30 million Americans, more than half of whom are children, living with rare diseases and disorders. Children's National Health System has the only dedicated Down syndrome clinic in the Washington, D.C., metropolitan area. The clinic is a specialized program coordinated through the Rare Disease Institute. As part of an ongoing editorial collaboration with Medscape Rare Diseases, rare diseases expert Marshall Summar, MD, speaks about the importance of getting patients involved in the rare disease community. Dr. Marshall Summar interviews Hemoshear CEO James C. Powers about technological advances in the rare disease field.